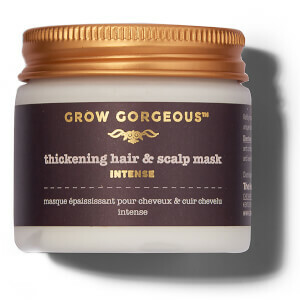 Intensely formulated to help you achieve visibly fuller, thicker and healthier hair. The Hair Density Serum Intense is perfect for those who find their locks are thin, fine and feeling defeated. With high concentrations of the most effective ingredients, this intense Density Serum has been expertly formulated with an extra 3% concentration of caffeine to really advance the benefits. Continued use of the Hair Density Serum Intense gives ultra-intense results, helping to give the appearance of more hair strands. Too early to comment as I just used it for less than a month. But, I like the smell. I never write reviews on products ever but I felt like I had to because this product has worked so well. I have had receding spots on my hairline like bald spots for as long as I can remember and they always made me so self conscious. I never wore my hair up because that exposed the bald spots. Two months ago I decided to purchase this product and I can already see results and I am so happy. I am so much more confident now and thankful for this product. It actually works. I suffered from hair loss and thinning due to ageing. I can feel that it has been improved since using this product. Tho it really takes time for the growing. I've been using this for almost a month now and haven't noticed much result...The smell is really nice and it feels nice on my hair and also takes away the frizz at the root of my hair but no noticeable length/thickness increase. I have just finished my first bottle of the Hair Density Serum Intense and my hair feels and looks great! I've noticed some new hairs growing along my hair line and my hair has never grown faster. I have already bought my second bottle because I don't think I can live without it anymore. I also love the smell of the product and enjoy how easy the application is. I completed use of two bottles, and saw pretty good results. Some fine hairs coming in around the front hairline and temples, and my hair appeared thicker. In the last two months, I switched to Revivhair stimulating serum recommended by a neighbor, that has a lot of the same ingredients and is stronger but cheaper. I’ve gotten even better results, but the GG Serum Intense is good if you can get it on sale like at skinstore. After a few weeks I definitely noticed a change in how fast my hair was growing and was not breaking so much. Even my hairdresser was shocked and told me to keep up my hair routine. Overall this is a great product! 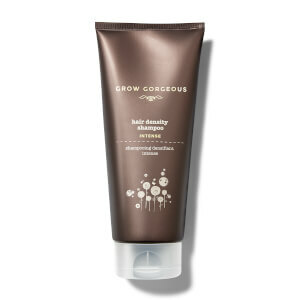 This product does make my hair seem thicker and helps especially during the winter months when my hair is dry & fly-away. However, the dropper applicator could be improved. Since 20 drops converts to one milliliter, why not have a 1 mil. mark on the dropper? Also, a more tapered tip would make it easier to get closer to the scalp. I have been have using a dropper from another product with this design that fits this bottle, but it's plastic and I'm not sure if a that interferes with the chemical structure. Please improve your dropper design! I use the serum just for one month and I feel the results. When I massage my hair, I feel these small new hairs bite my fingertips. 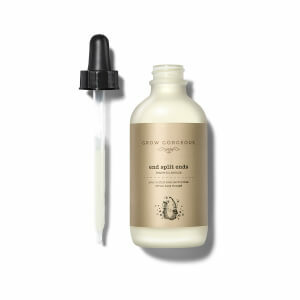 I use it every day in the evening, just comb and divide my hair and then apply the serum onto the parting. I feel that my hair grows a little faster than usual! I'm going to buy the second bottle of the serum in advance.